Conflict simply is. Believing that we can somehow avoid it can only damage our relationships, but when we learn to integrate our needs and wants with those of others, it can be a catalyst in our relationships for deeper loving care. 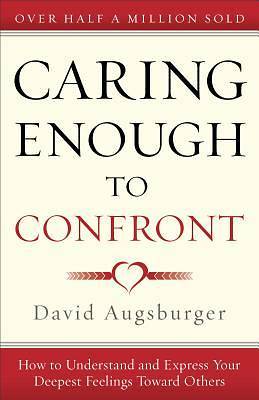 Dr. David Augsburger's Caring Enough to Confront is a classic in Christian peacemaking. It teaches the reader how to build trust, cope with blame and prejudice, and be honest about anger and frustration. Dr. Augsburger challenges readers to keep in mind that the important issue is not what the conflict is about, but instead how the conflict is handled. He offers a biblically based model for dealing with conflict to teach Christians how to confront with compassion and resolve issues in a healthy and healing way. Whether in family, church or work relationships, Caring Enough to Confront gives readers the tools to make the most of every conflict.